Friday, August 22 at 7:30 p.m. It's been more than 40 years since Tim Hauser, a former Madison Avenue marketing executive, paid his bills by driving a New York City cab while aspiring to form a harmony vocal quartet sui generis that could authentically embrace varied musical styles, and still create something wholly unique in the field of American popular song. 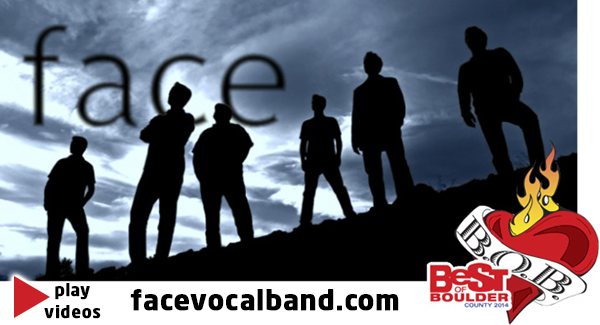 Face is a nationally recognized vocal rock band based out of Boulder, Colorado, bringing a new edge and attitude to the human voice. Using just five singers and a vocal drummer, Face creates a rock-music phenomenon that has to be seen to be believed. No instruments and no special effects -– just six guys.